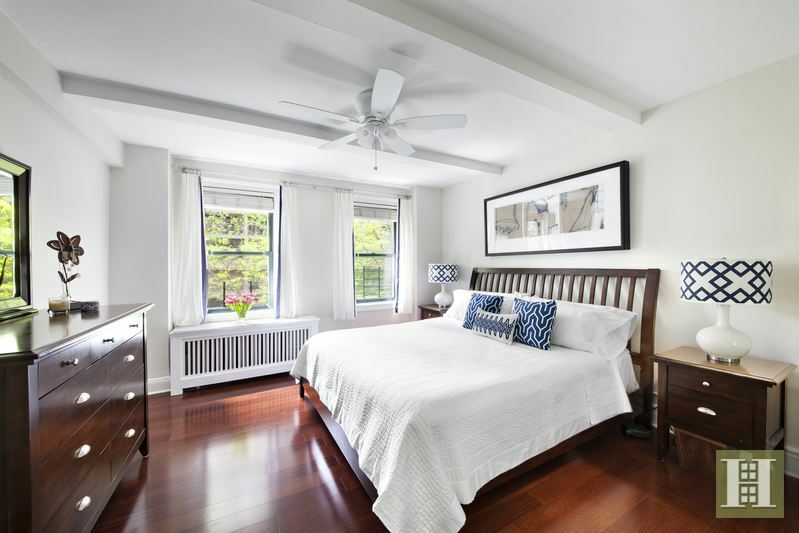 Just beyond the cacophony of Upper West Side tourists, on a brownstone-lined street under the canopy of Central Park's lush treetops where neighbors greet each other by name and gather for holiday block parties, the possibility of your new life awaits. 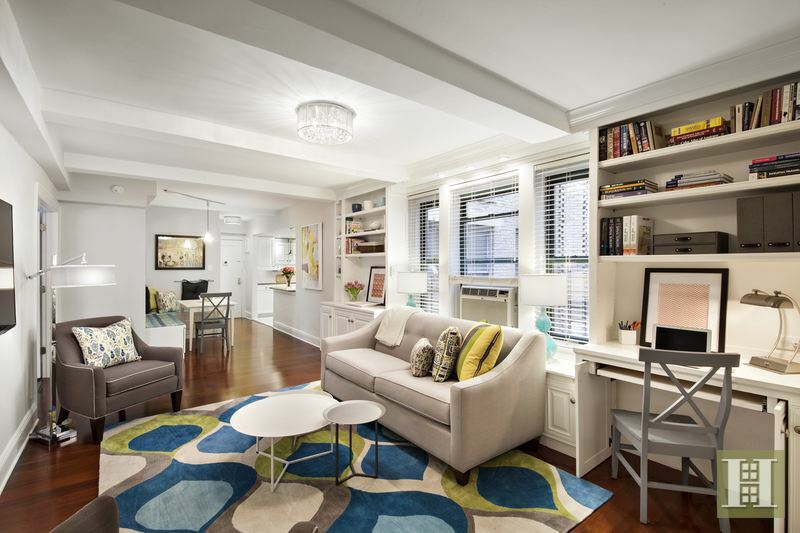 A carefully considered renovation preserved the classic Pre-War details and functional layout of this 2 bedroom, 1 bath residence, while creating a home fit for modern living. Handsome hardwood floors, beamed ceilings and original moldings root you in a sense of rich history, while recessed lighting, a washer/dryer, a modern kitchen and strategic openings in the space allow light from all three exposures to filter throughout this home, illuminating the life that is possible here. Your inner chef will be seduced by the expanded windowed kitchen. 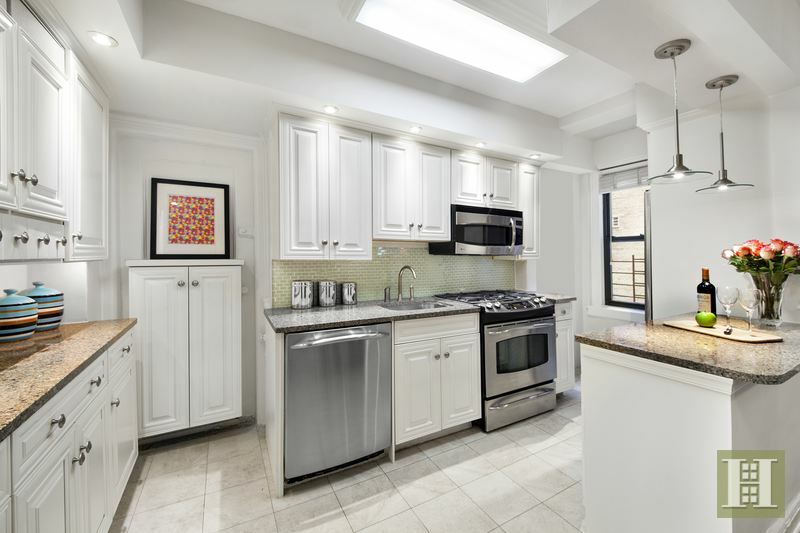 Bright and cheerful, with copious cabinet storage and three separate counter areas, if offers the space and tools you need to cook for - or with - a crowd. This open space seamlessly flows to the dining area for easy entertaining, and sets the stage for the memories that compose a fulfilling life, whether an intimate dinner or robust "Sunday funday" gathering with friends. Custom-crafted built-ins in the living room enhance the abundant storage offered by 5 custom-fitted closets and provide flexibility for your evolving needs. 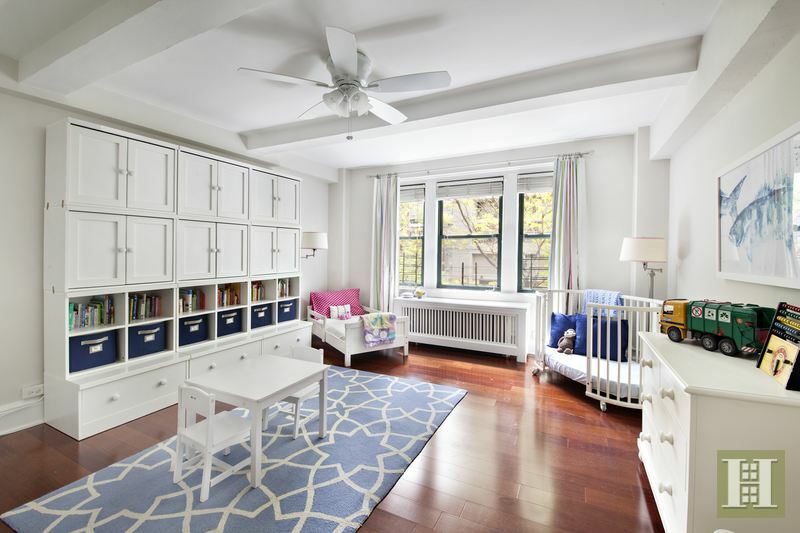 Will the natural light gracing the twin desks ignite your latent creativity, or will the cabinet doors remain closed, keeping art supplies and toys hidden from public view? Will the bookshelves house your tempting cookbooks, the latest best-sellers or treasured collections from your travels? Southern light dances through the treetops into the generously-scaled bedrooms. Double French doors to the second bedroom allow the warm afternoon light to filter into the public areas, and offer the option of making this room an extension of the living room. 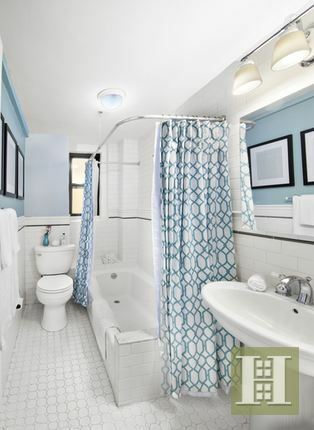 The windowed bathroom, cheerfully clad white subway tile, is elegant in its understated simplicity. 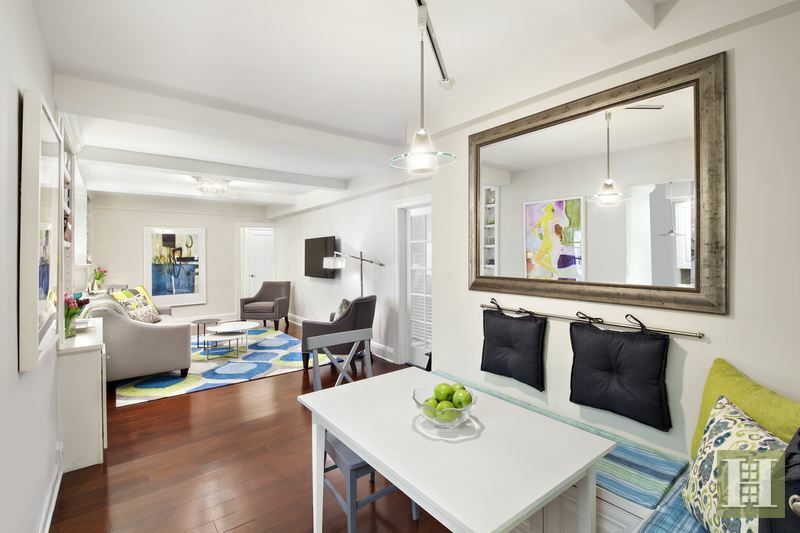 The intimate, pet-friendly co-op with full-time doormen and a live-in super boasts a roof deck, storage, bike storage, a central laundry room, proximity to an abundance of shopping, dining and transportation options, and the magnificence of Central Park as your backyard. In an ever-changing city and world that is filled with uncertainty, this is a home that will keep you grounded; as you step inside, you will feel protected from the chaos and cacophony of the city. Its Pre-War sturdiness and modern openness create a container that will serve as a gathering place for friends and an incubator for your dreams. Within these walls exists the possibility for the life you desire. Come inside and feel it.